Do you know H.R. 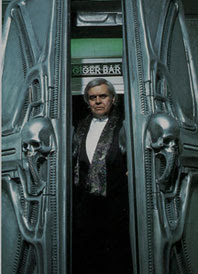 Giger, the creator of the most famous alien in Hollywood? 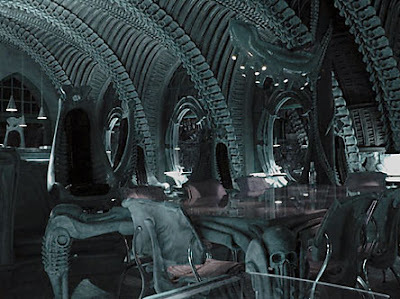 His slimy, egg-laying monster (below) in the 1979 Sigourney Weaver sci-fi flick is the most ingenious and horrifying one I've seen so far. Do you know that he also designed the cover of Debbie Harry's 'Kookoo' CD (left), producing an image so psychologically perturbing that it was banned from London's Underground years ago? 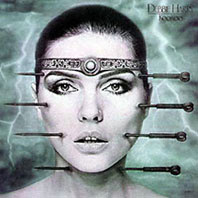 In Japan, her single from this album made use of a less unnerving picture on its sleeve. 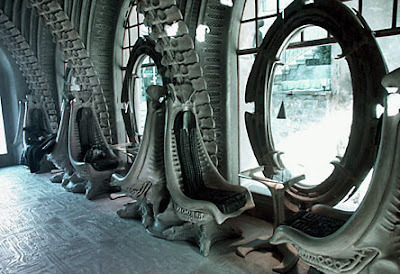 I'm quite sure that creatives all over the world have seen some form of his multi-faceted art. 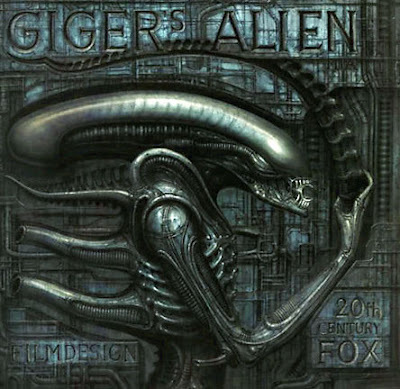 After all, Giger has dabbled in film, painting, sculpture, illustration, architecture, interior design, furniture design, graphic design and jewelry design. 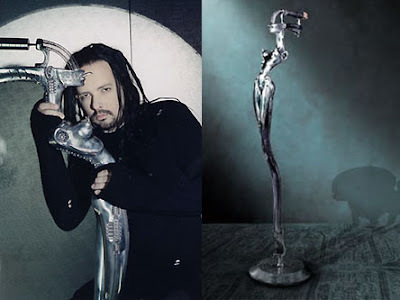 He even fashioned a special microphone stand for Jonathan Davis, lead singer of the rock band, Korn (below)! 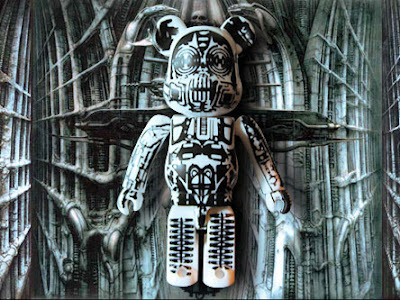 The White Giger Artist Bearbrick (top) is part of Series 12. There is a black version, fyi. i'm always astounded, refreshingly so, at the variety of acoutriment that is applied to your hobby of hearts. i really love visiting, 'cuz i always learn something. Awesome! Awesome! I love poking around here. You always have the coolest stuff. On another note, Discover Taipei has just posted an interesting article on the vinyl toy industry here in Taiwan. Be@rbricks were featured. This is the first I've heard of them in Taiwan. I'm on my way to check out a new store next week.